Graded GD+ 2.5 by SGC (submitted by REA). Striking example of Cleveland Naps Hall of Famer Nap Lajoie from the 1909 E92 Croft's Cocoa set, with reverse advertising for "Croft's Swiss Milk Cocoa" of Philadelphia on the reverse. The same designs were also issued with advertising on the reverse for Croft's & Allen Candy. 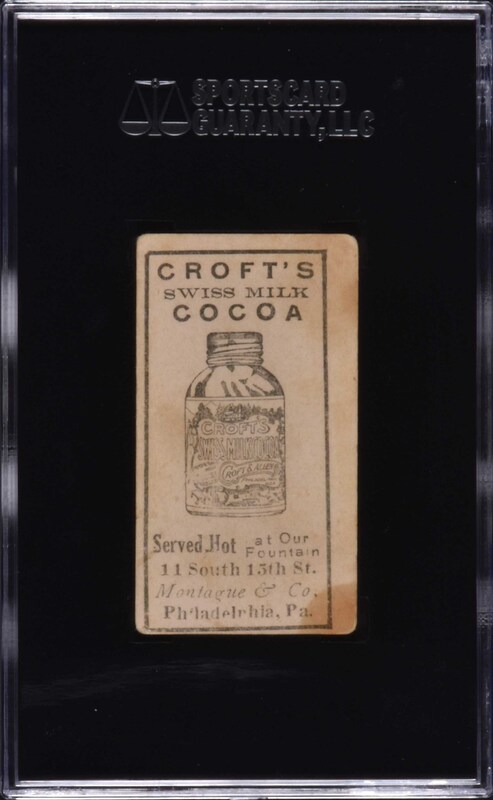 It appears that both varieties of these cards were issued by the Croft & Allen Co. of Philadelphia to be handed out as advertising items to promote its candy and cocoa, which, as noted on the back of this card, is "Served Hot at our fountain 11 South 15th St. Montague & Co. Philadelphia, Pa." The offered example has a flawless image set against a vibrant colored background. Centered slightly to the left, with even corner wear, a few light creases, and a stain in the lower left corner. The printed advertisement on the reverse is centered toward the lower left. 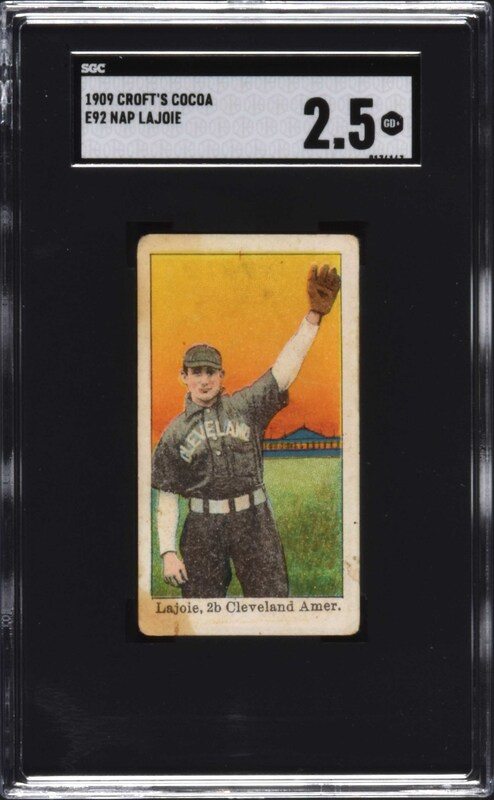 This is a very attractive mid-grade sample card of Nap Lajoie, one of the key Hall of Famers from this rare set. Reserve $200. Estimate $400+.